Due to recent competition and that I have a lot parts sitting around that were already paid for, and people have essentially stopped buying Harmony carts, I think it is time to lower the price and change the pricing structure. The new price for Harmony will be $39, and the new price for Encore will be $59. For this price you get a bare board and a label. 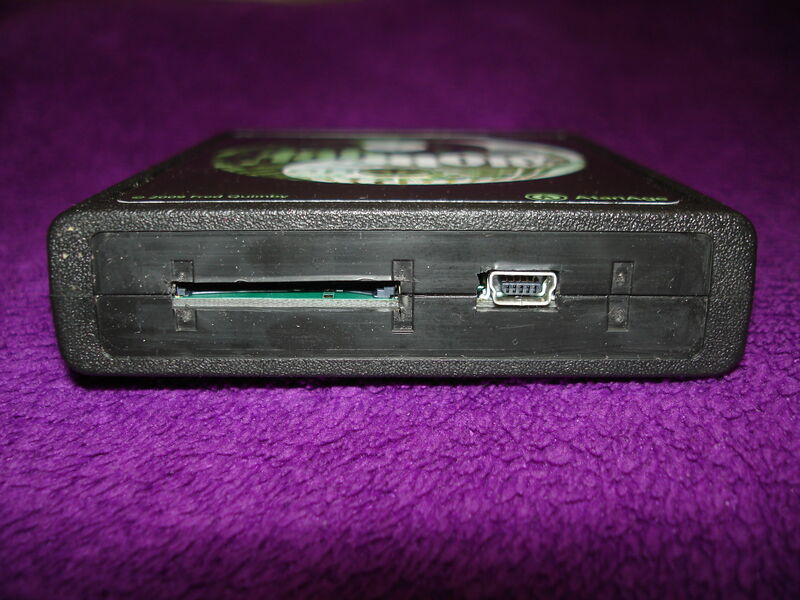 You supply your own cartridge casing and cut the slots in it for USB and the SD card. If you would like your cart put in a cartridge casing, add $10 to the price. You may order a printed manual for $1.00, a color manual for $6.00, or a USB cable for $4. You can purchase a SDHC card with some homebrews, Harmony software, drivers as was formerly available in the Deluxe version for $12. The order pages will reflect this change soon. This offer is for a limited time only, while supplies last. I have enough to make a few hundred carts, I think. When the supplies are exhausted, that will be time to release the source for Harmony, and I will decide then if I want to make more. Give me some time to change the order page. It is currently down. Sorry to hear that business has been slow lately, I'll order a complete Harmony Encore with case and B&W printed manual on November 1st (or sooner if finances allow). I did want to ask though, will current production Harmony Encore carts have a nice glossy label on them? The last one I ordered came with a non-glossy paper label that got scratched up in no time flat. I have been meaning to do something like this for a while anyway. Maybe this will encourage me to work out those final bugs in Concerto and actually release it? Yes, I think the current labels are better. A semi-working site is up now. Currently I need to change a couple of things because adding to the shopping cart takes you to a new tab and you have to switch tabs to get back to the original screen. Kind of clunky but hope it works for now. I will take another look in a few days when I get a chance. Maybe this will encourage me to work out those final bugs in Concerto and actually release it? I've been wanting an Encore cart for a while so this is the perfect opportunity. Order placed. Most excellent! I just went ahead and placed my order for an SD Encore with case and paper manual. Thank you so much for all the hard work you've put into the Harmony cartridge over the years, it's an absolutely essential product for any Atari 2600 High Score Club player or homebrew / hack enthusiast. Just ordered an Encore circuit board with plain paper manual. I have a dead combat cart shell which will have a use at last! You should team up with StoneageGamer.com. I bet they easily sell your flash carts like hot cakes! I think maybe there is a lack of awareness of your product perhaps? I just noticed this obsolete link still is floating around. It has your old pricing, while your current order form has the new pricing. I don't know if you'd make refunds for customers paying too much, but some customers not aware of the price drop might decide to not go ahead with the order. Yup same, I'll be ordering one (and sucking up the UK shipping !) as I've really got into Bb programming and I love DPC+, so it's become pretty much essential for me now to test on real hardware as UnoCart isn't there yet. Edited by Muddyfunster, Wed Oct 31, 2018 6:30 AM. Mine arrived safe and sound! Thanks so much! Order placed for me too I still use my original but want the newer one and support the Harmony! Finally decided to make the purchase. Love my encore! I got my Harmony Encore in the mail last week and it works great! The new cartridge label is very nice looking and seems like it should be pretty durable. My OCD-ness about condition was a touch aggravated by the sloppy cut in the casing around the Mini-B USB port, but other than that it's great. I am assuming he is using Combat, Pac Man and/or ET Carts, so he has to cut the holes by hand. so i buy harmony card + case + sd card. sd card reads in the computer like a usb drive rt, i drag n drop .bin files onto it. then i eject from computer and put in harmony and start jammin? It is my understanding that the Harmony Encore SD cartridge and the standard Harmony cartridge are the only in production SD cartridges on the market for the Atari 2600 system. You mention recent competition. Is there some other company that is selling a USB or SD cartridge for the Atari 2600 that is comparable to the Harmony Encore? I do hope that you decide to continue to manufactory the Harmony Encore SD cartridge, it’s a great product and the best I have seen so far for the Atari 2600 compatible systems. A lot of people are using free 2600 emulators on desktop and portable devices and are no longer using classic 1977+ videogame consoles (Which results in less demand for the Harmony Encore SD cartridge). 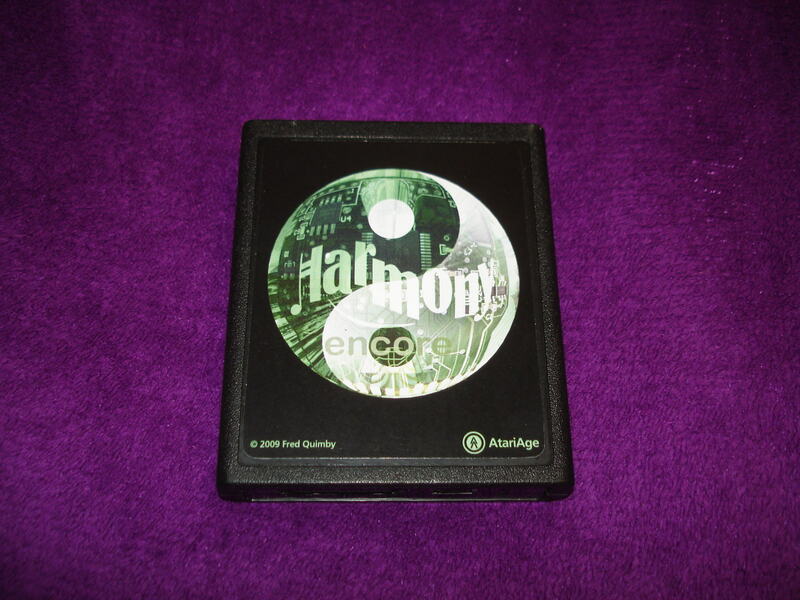 The Harmony Encore SD cartridge use to sale for $89.24 shipped ($84.99 + $4.25 S/H). Also for $89.24 one only got the cartridge inside the case and no accessories. With the new $16 price drop, a brand new Harmony Encore SD cartridge in a cartridge case with no accessories sales for $73.25 shipped ($69 + $4.25 for shipping). I like all the new ordering options you are now offering at checkout (color manual, USB cable, SD card, etc). Edited by HDTV1080P, Mon Dec 10, 2018 4:30 AM. In theory it is even more capable than Encore, but currently the firmware doesn't support some modern homebrews (or the homebrews have to be recompiled).